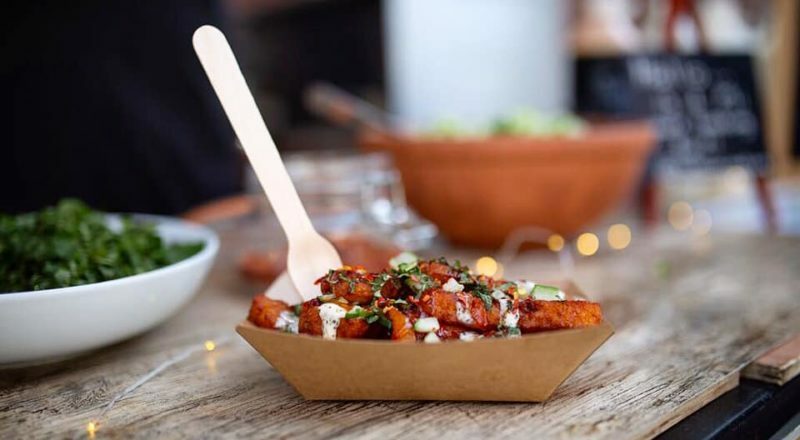 Foodie Friday is Stockport’s hugely popular street food event taking place between 6pm and 9pm at Stockport Market Place on the last Friday of every month. There’s a real buzz back in Stockport Market as hundreds of people come together for this feel-good gathering that offers street food, craft ales and live entertainment from local talent in the beautiful surroundings of the historic Old Town. 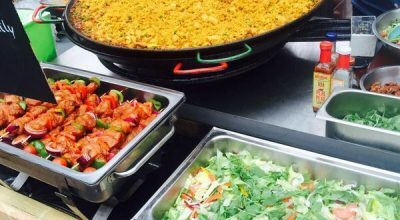 Foodie Friday is a truly unique social event for Stockport town centre creating a continental-style, street-cafe culture which appeals to all ages & gives families a relaxed & enjoyable night out with their children. Foodie Friday visitors can also continue their evening’s entertainment in the popular food & drink venues located in the Market Square & surrounding area, all with their own individual atmosphere. Sample the delights of The Baker’s Vaults, Remedy Bar & Brewhouse, The Angel, Project 53 & The Arden Arms whilst also enjoying the live music performances in the Market Hall throughout the evening. For a memorable night out meeting up with family and friends, come to Foodie Friday & be part of our growing community in Stockport Old Town! WrapScallion specialise in toasted quesadilla wraps with delicious fresh fillings offering healthy fast food with vegetarian and vegan options available. Wallace & Sons offers a Pan Asian menu including dishes such as bao, gyoza, kimchi and other Eastern inspired delights. Nasi Lemak Street Food specialise in Malaysian cuisine made up of Malay, Chinese, Indian and Thai cooking. 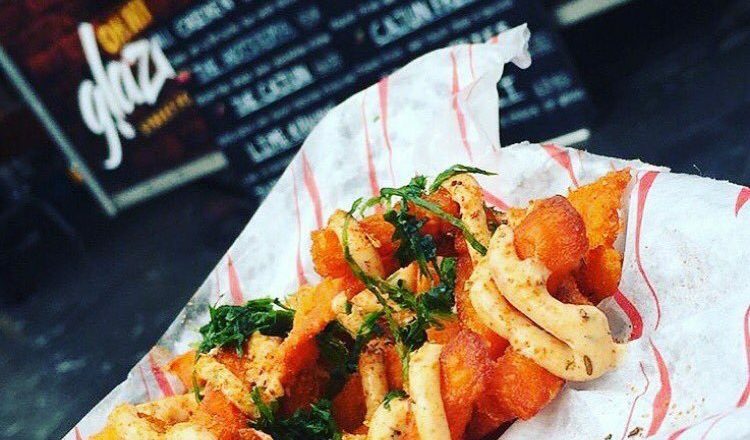 Halloumi fries…need we say any more?! Fancy trying something different? How about homemade dumplings with juicy pork, courgette, kale and ginger! With a mission to produce the best tasting juiciest burger possible, What’s Your Beef? 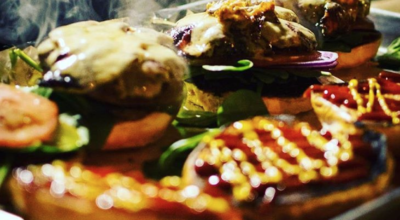 burgers are made with beef selected for the very best flavour, texture & succulence. 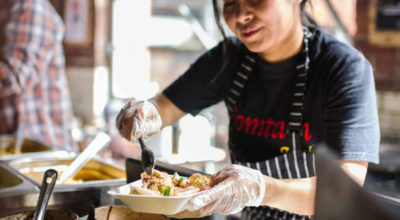 Tapas Y a la Carta specialise in the finest Spanish Tapas with the freshest ingredients. 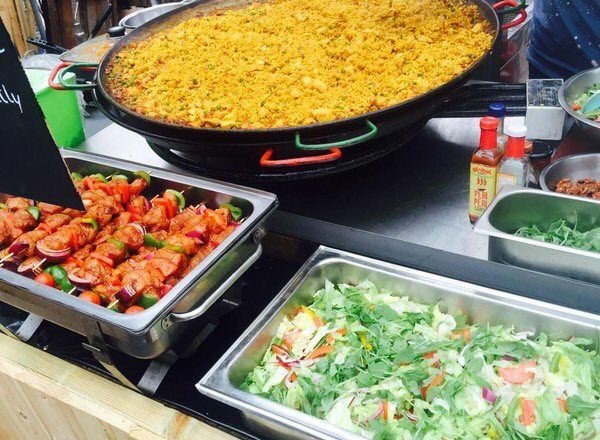 Their locally-produced, gigantic paellas are their speciality. Oh My Glaze serves up an American inspired, healthy menu with grilled chicken and halloumi featuring heavily. 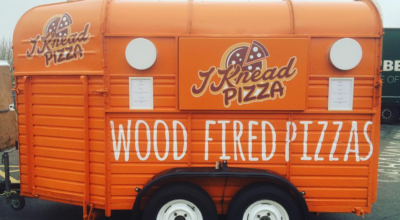 I Knead Pizza specialise in Neapolitan style Wood Fired Pizza, using only the finest San Marzano tomatoes and Italian fior di latte mozzarella. 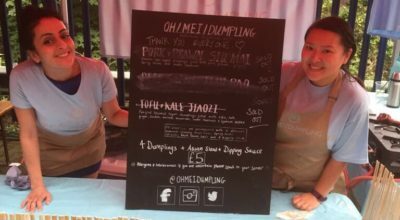 They've started something magical: they've brought together people from all walks of the community, as well as giving local food businesses the perfect outlet. 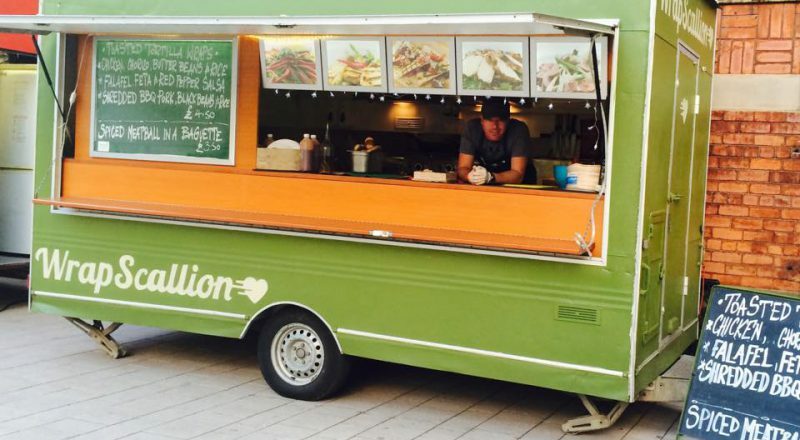 Manchester's street food offering may have improved immensely recently but Stockport is not playing second fiddle. 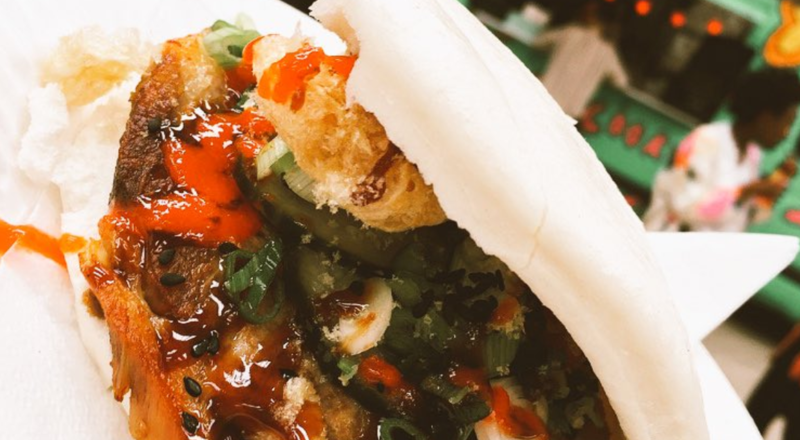 Foodie Friday is a triumph! 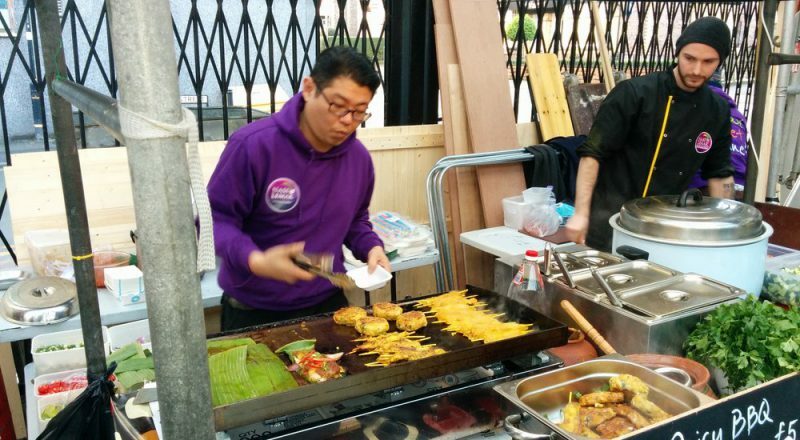 Foodie Friday is a major part of the social glue in the Old Town, helping to support local businesses and putting the town firmly on Manchester's food and drink map. 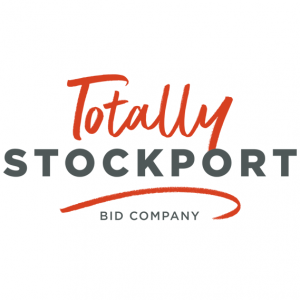 In October 2016, Stockport town centre businesses voted in favour of a Business Improvement District – Stockport’s BID – that will generate almost £2.5m of additional funding over the next 5 years, specifically ring-fenced for projects that will enhance the town centre. 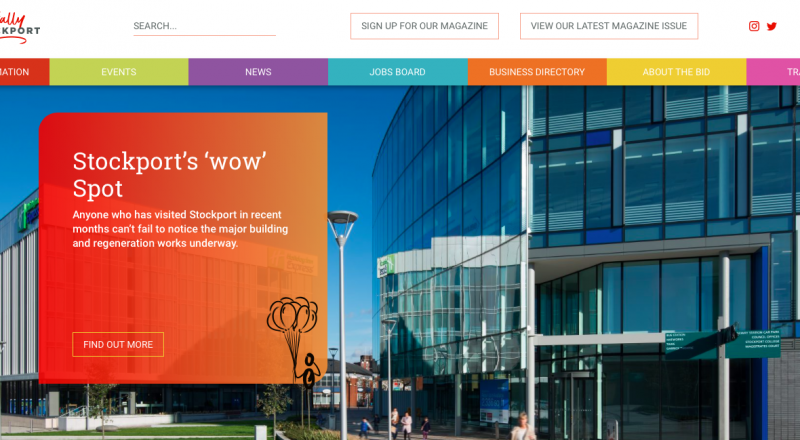 First priorities are to make the town centre a safer and better place for customers and employees; to improve choice; to improve the marketing of all areas of the town and to make it easier to do business in Stockport. CDL is a market leading technology company whose software powers brands such as Gocompare.com, Swinton Insurance, Tesco Bank and Virgin Money. It is also behind mycarcheck.com, the vehicle history look-up service. 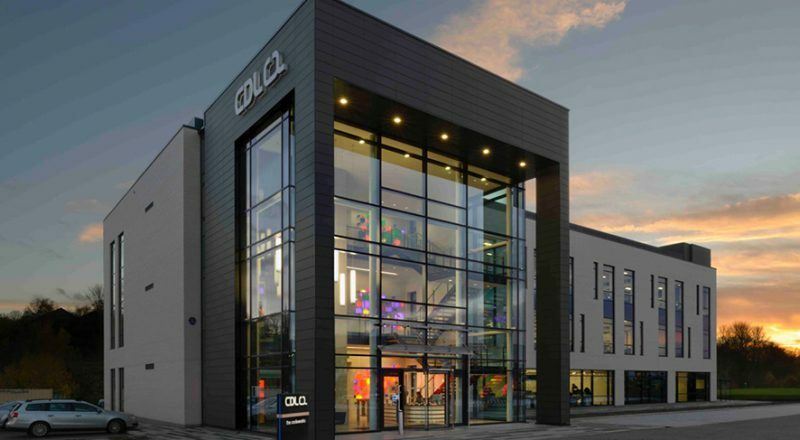 Its successes have seen CDL grow to employ over 600 people at its state-of-the-art campus in Stockport. 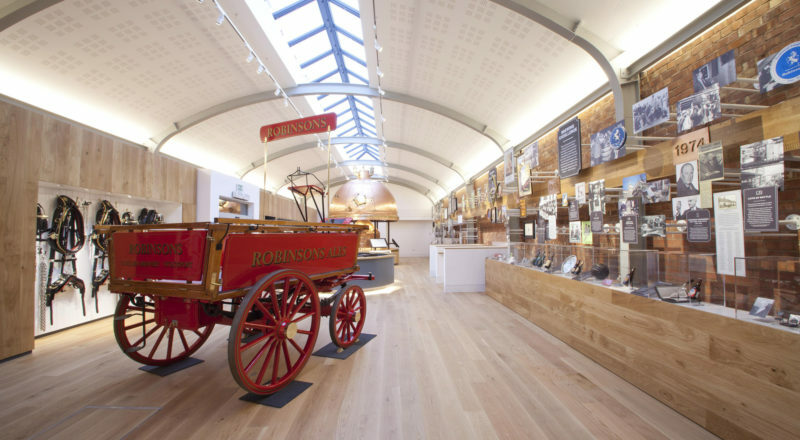 Based in the heart of Stockport for almost two centuries, and owning 300 pubs, inns and hotels across the North West, Robinsons is one of oldest and most respected names in British brewing history. A proud family of independent brewers, Robinsons is one of the most advanced and sophisticated breweries in the UK, with a worldwide reputation for real ale. It’s also home to the largest hopnik in the world. 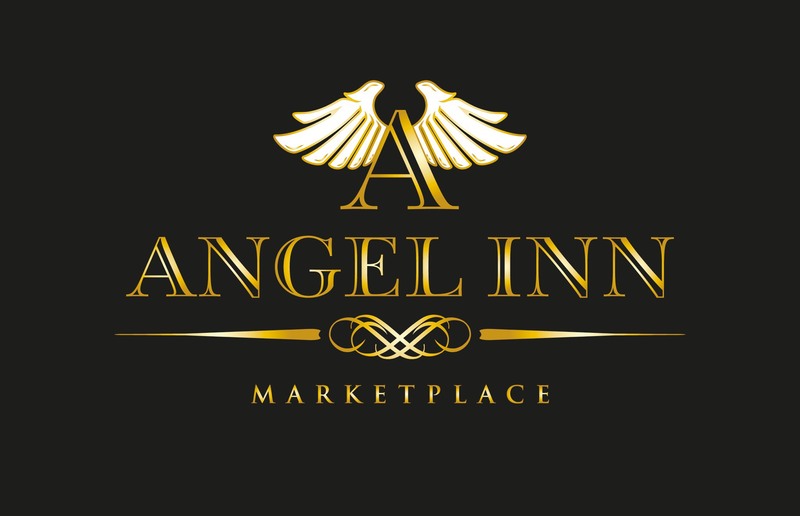 The Angel Inn is a traditional public house in the heart of Stockport's Old Town. The Angel serves a great range of real ales, lagers, ciders, wines, spirits and more. A steam-punked inspired craft beer house and microbrewery, featuring live music and good food. Bring your own brew along on the first Tuesday of the month, for open discussion at the Home Brew Club. The Baker's Vaults is a popular beer shrine renowned for its great food, award-winning craft ales and quirky jukebox. In the evenings, it dims the lights for live entertainment from talented jazz and blues musicians. 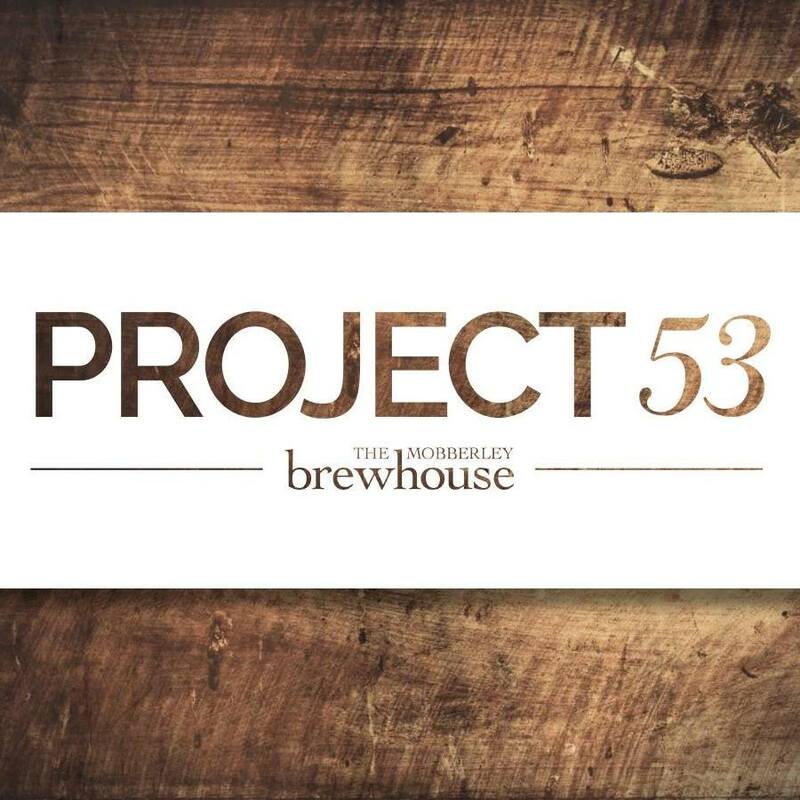 Project 53 showcases the best of Mobberley Brewhouse’s beers alongside a range of guest ales, 30 varieties of gin, a collection of spirits and wine, as well as a full menu of pizza. 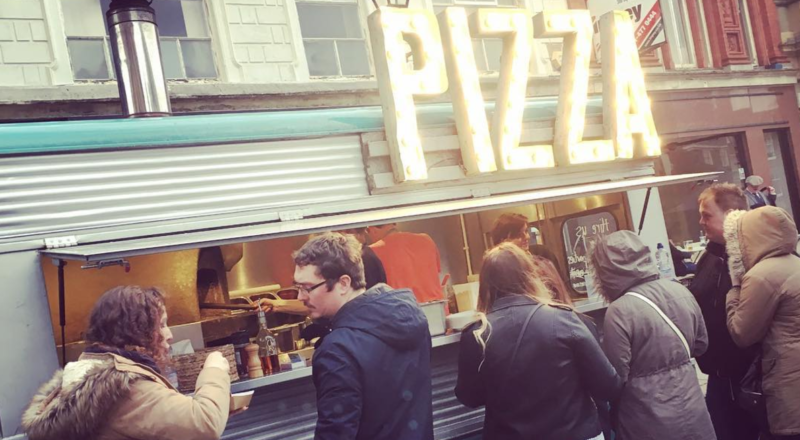 Featuring a rustic interior, high seating and an open space for socialising with friends, Project 53 is a welcome new addition to the food and drink scene in Stockport Old Town. Talk to the people around you, wherever you are. Find out what's happening right now, no searching, no requesting and no waiting. What are you missing out on? 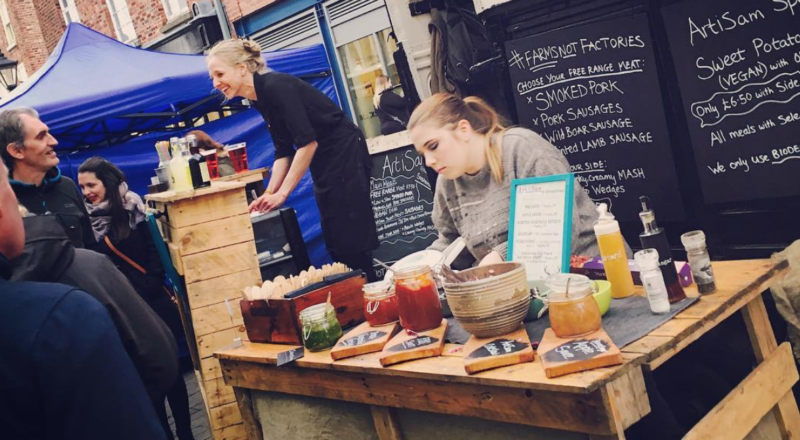 Stockport Old Town is home to award-winning independent businesses specialising in vintage retail, quality food and drink and live entertainment. The new visual identity is helping create a cultural destination that attracts local people and builds a new future for the area.